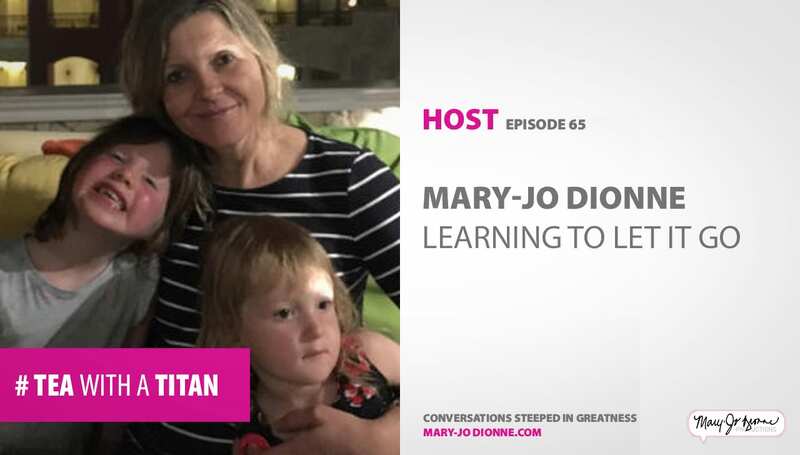 For over a decade, Mary-Jo has had the pleasure of interviewing this generation’s most notable names. 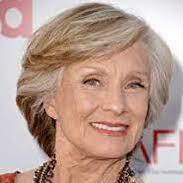 From Oscar winners like Cloris Leachman to Emmy winners like Ellen DeGeneres. 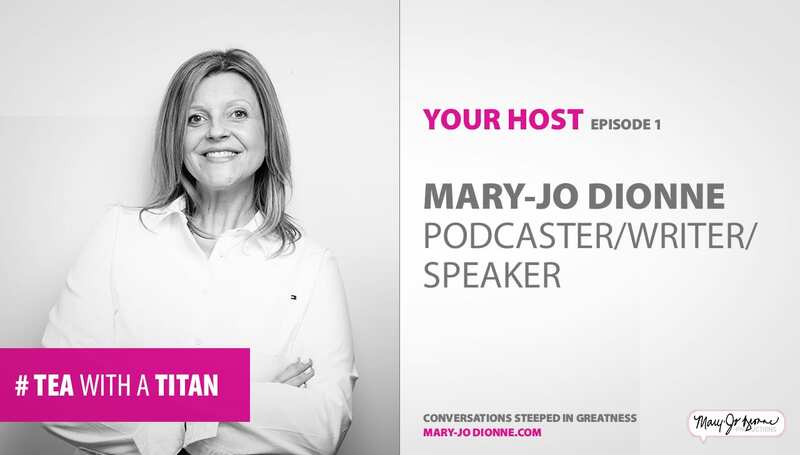 From country music greats like Carrie Underwood to entrepreneurial mavens like Martha Stewart. 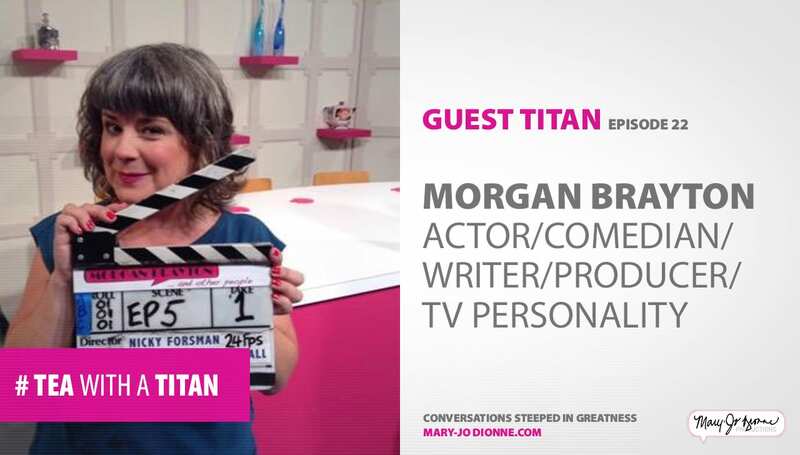 Until now, all of this banter has been relegated to the pages of the magazines she’s been blessed to work with. 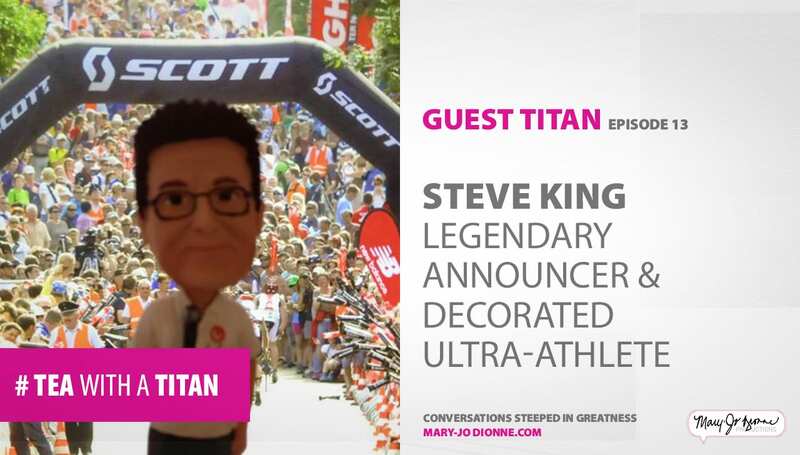 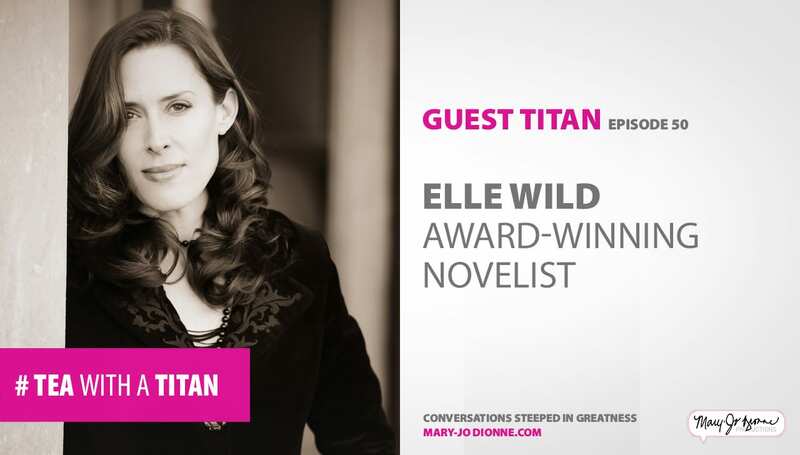 But she’s taken her love for the art of the interview — what she calls “peeking through the portal” — and has brought it to the cyber-waves with the launch of her podcast, Tea with a Titan: Conversations Steeped in Greatness. 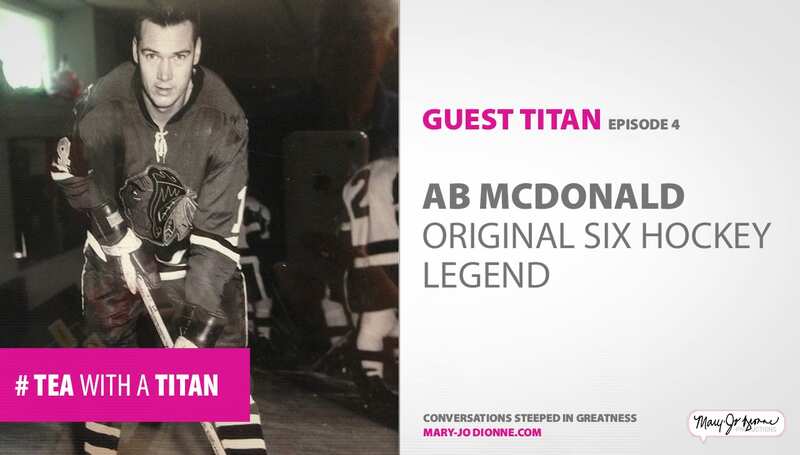 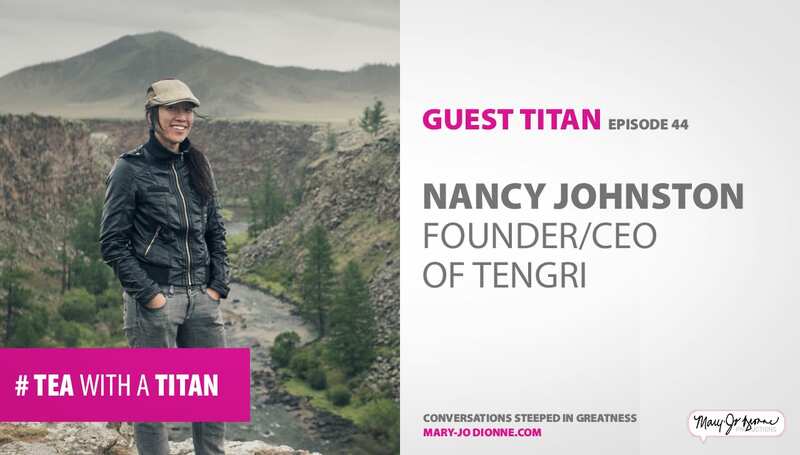 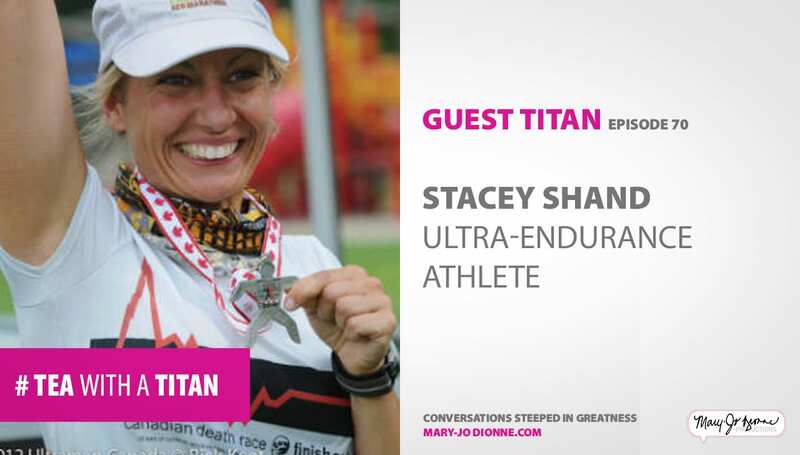 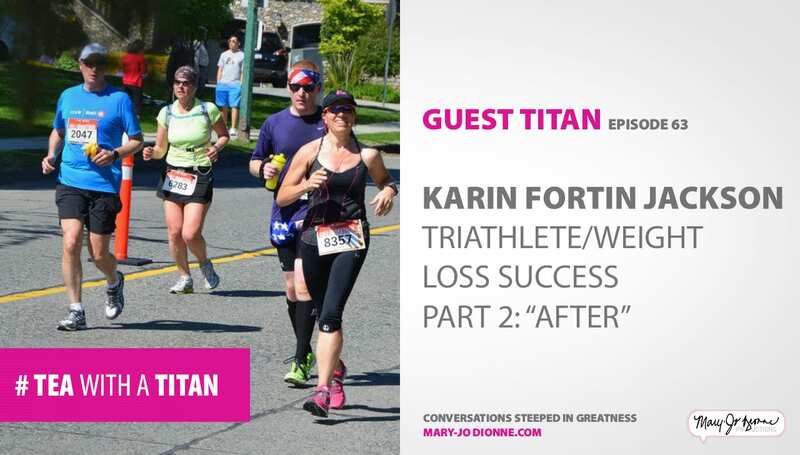 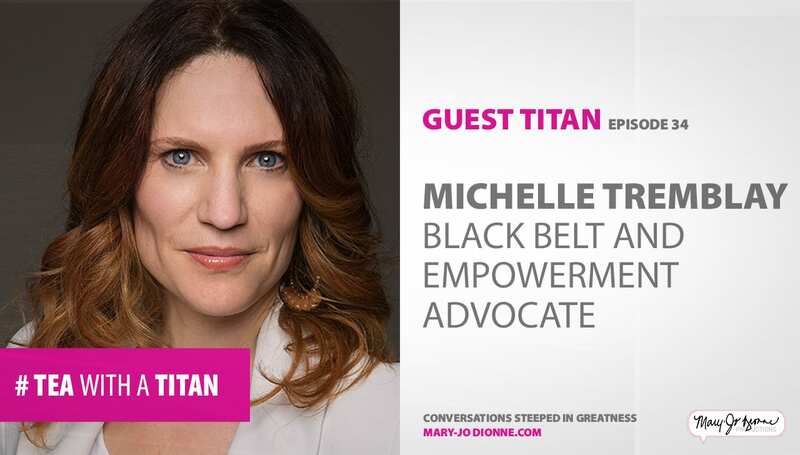 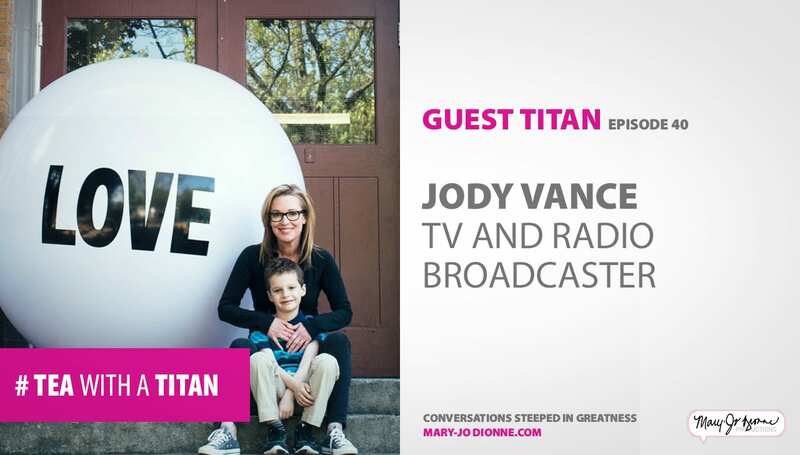 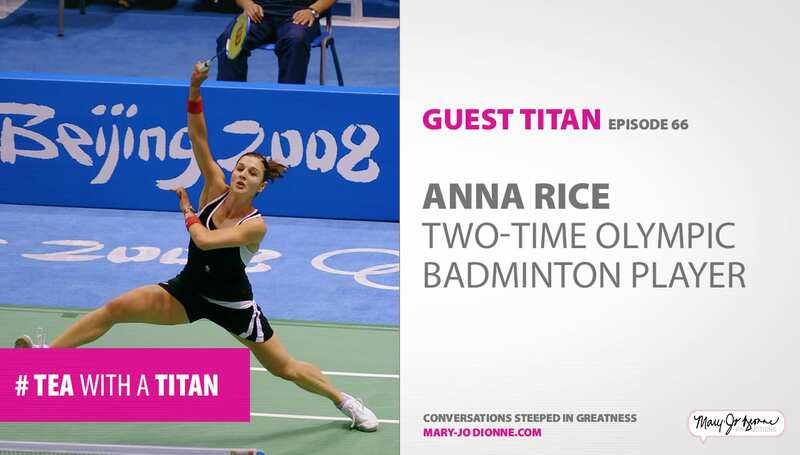 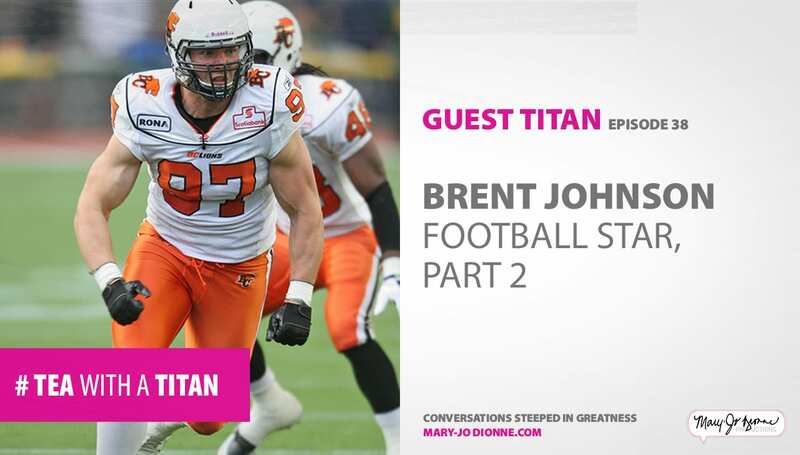 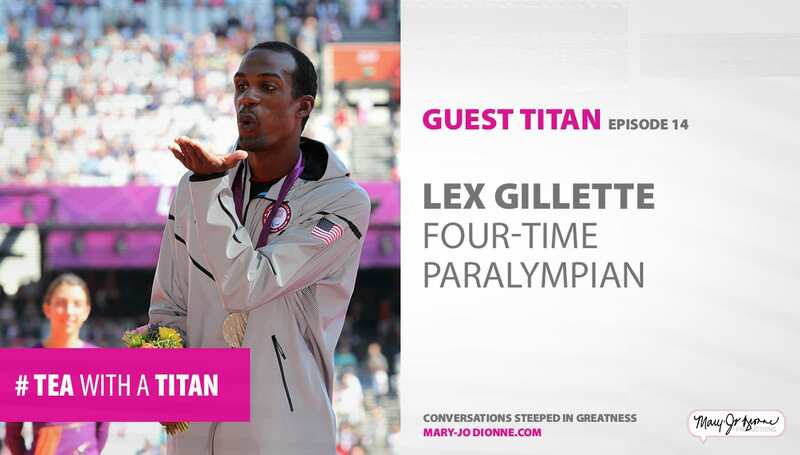 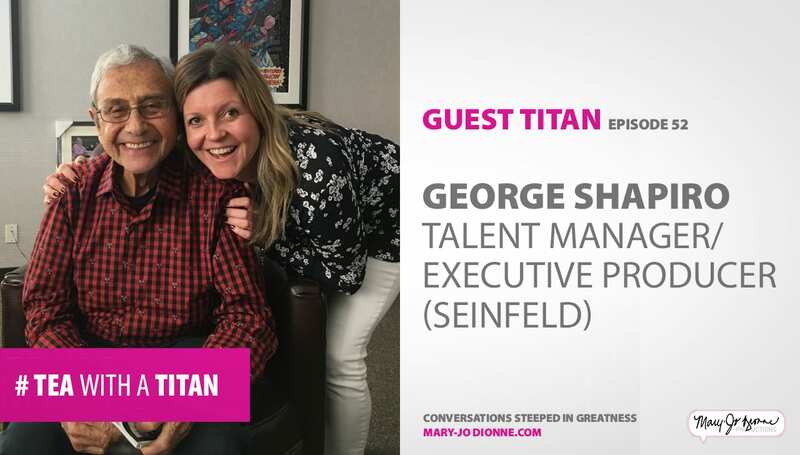 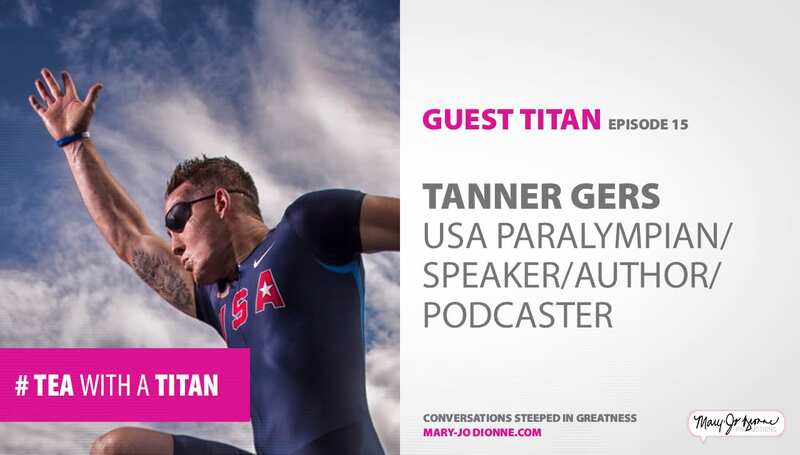 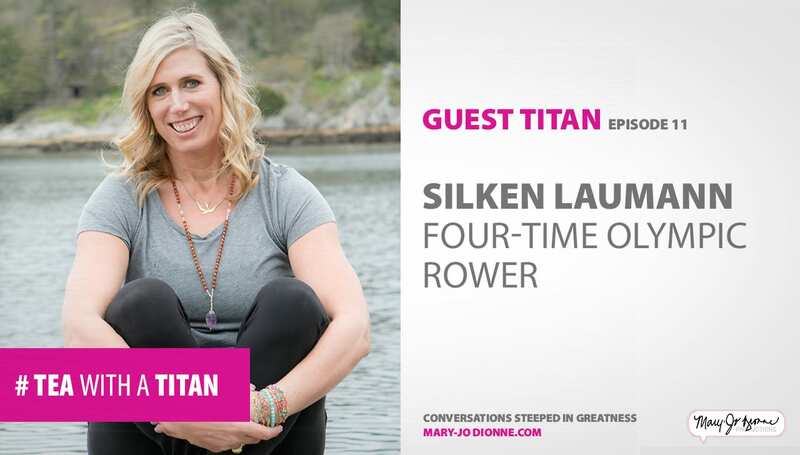 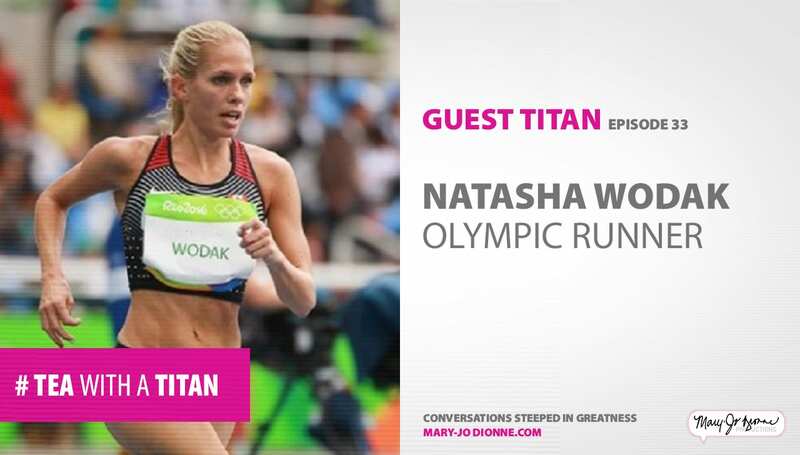 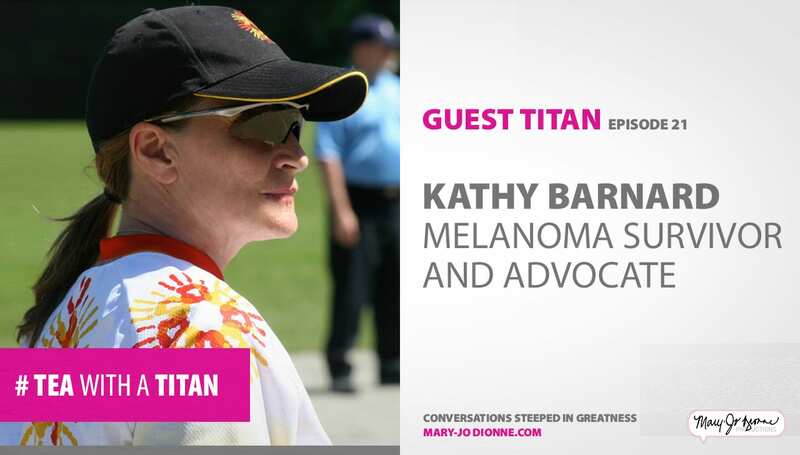 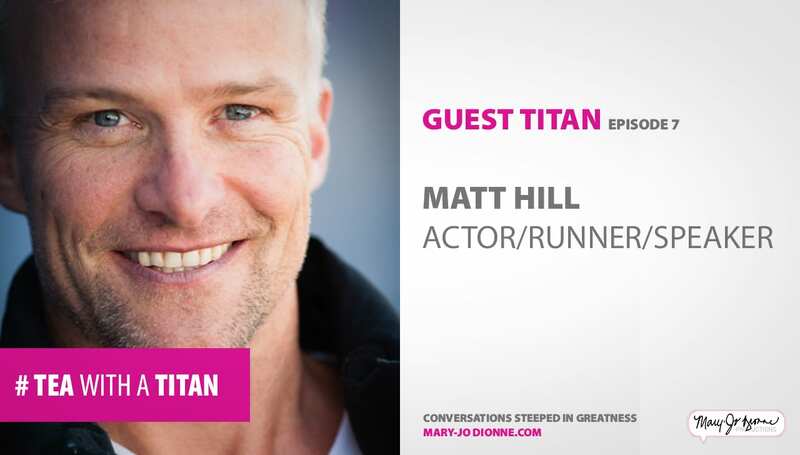 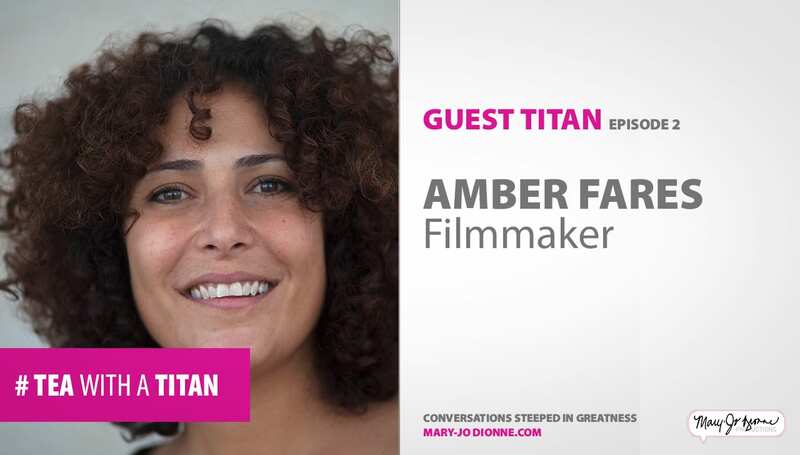 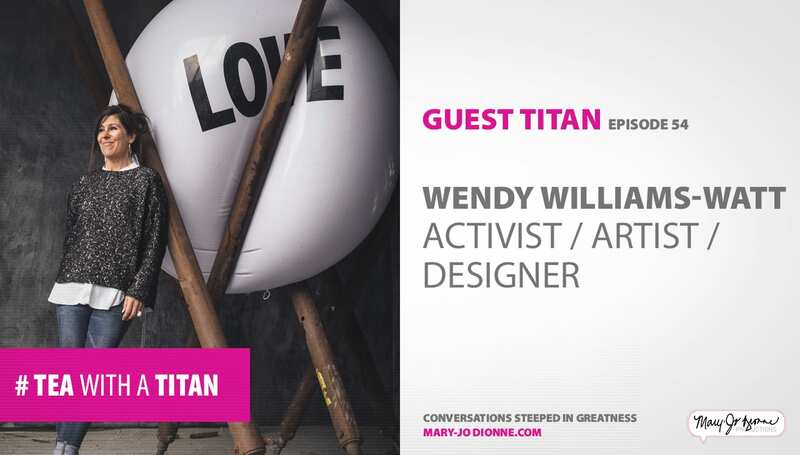 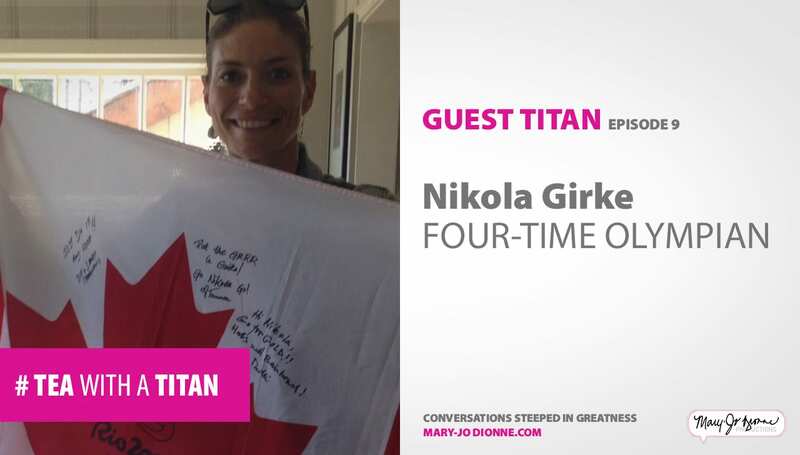 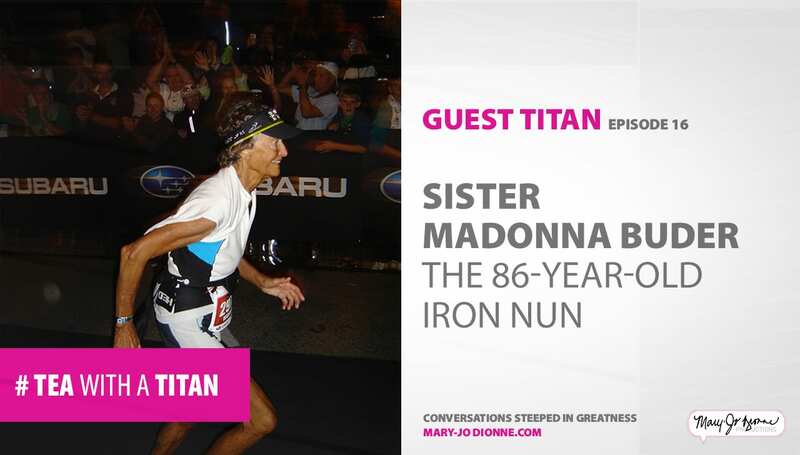 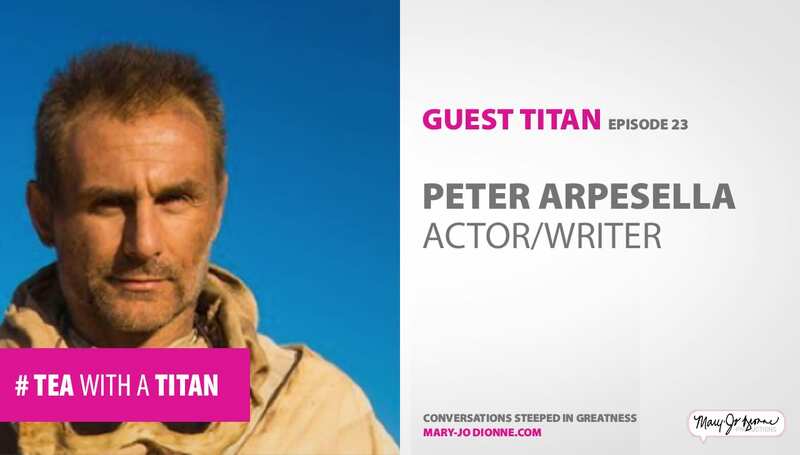 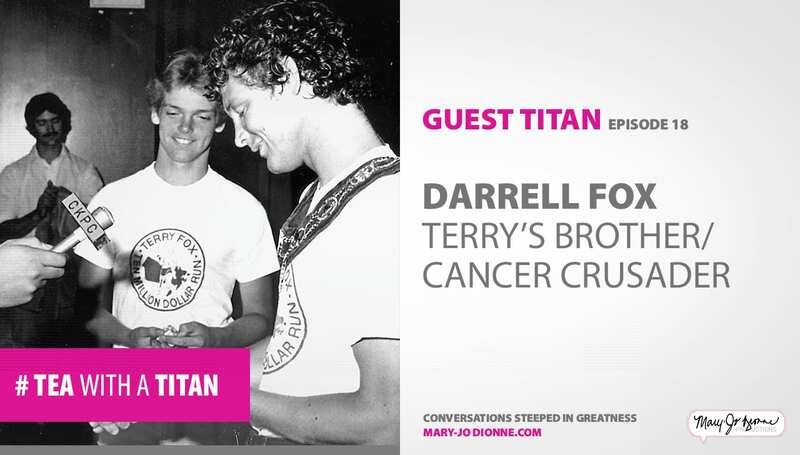 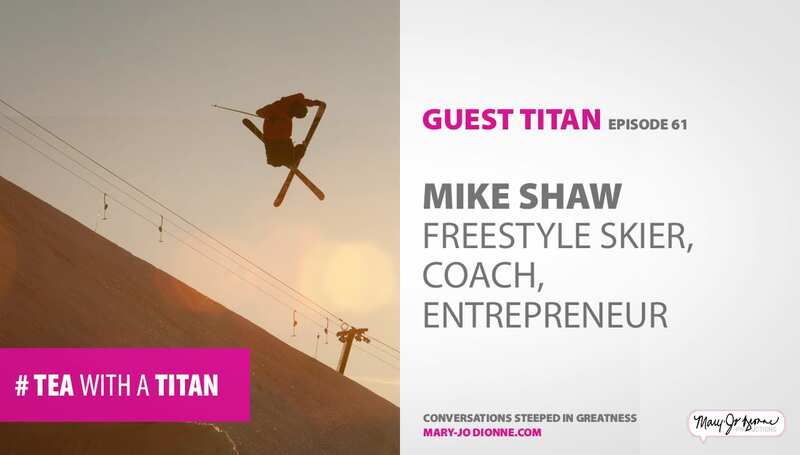 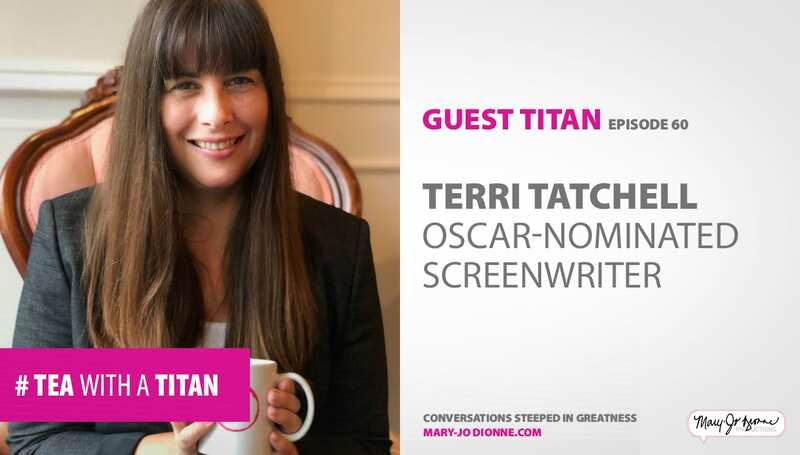 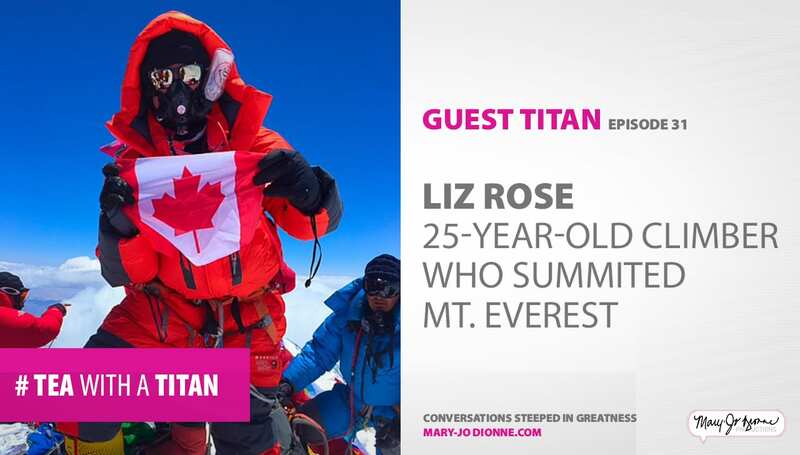 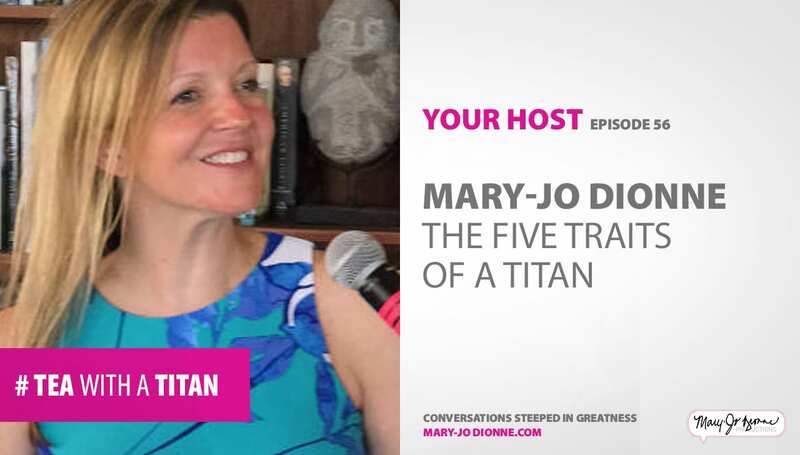 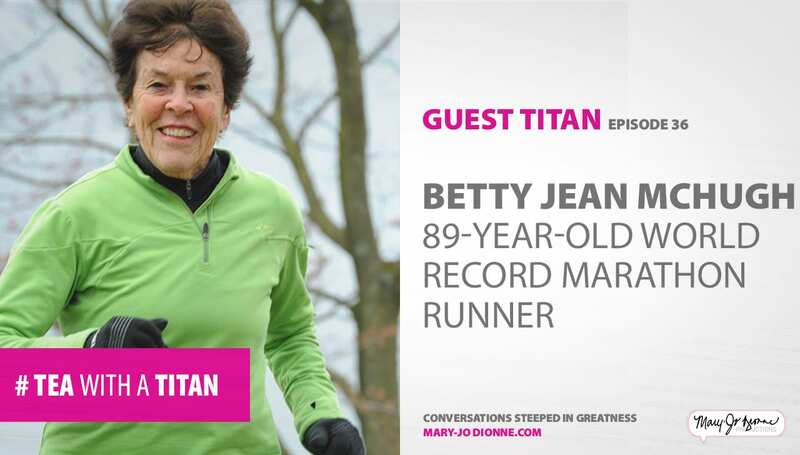 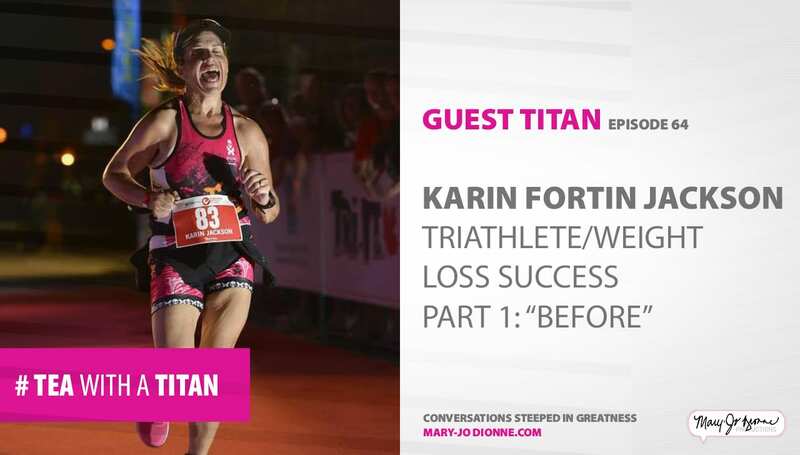 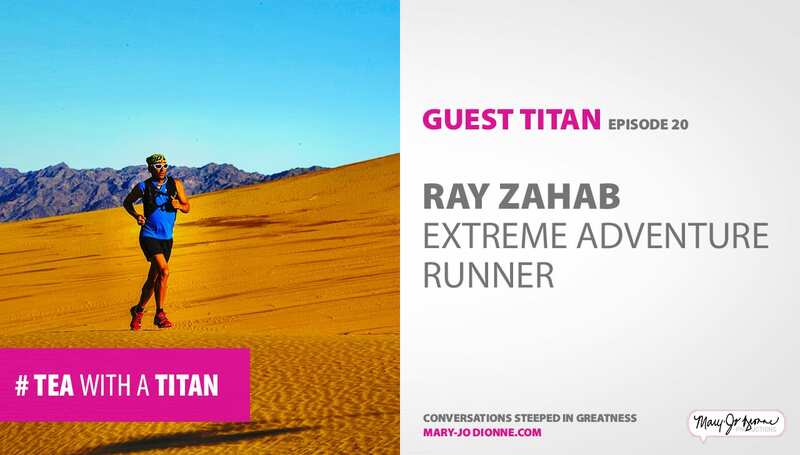 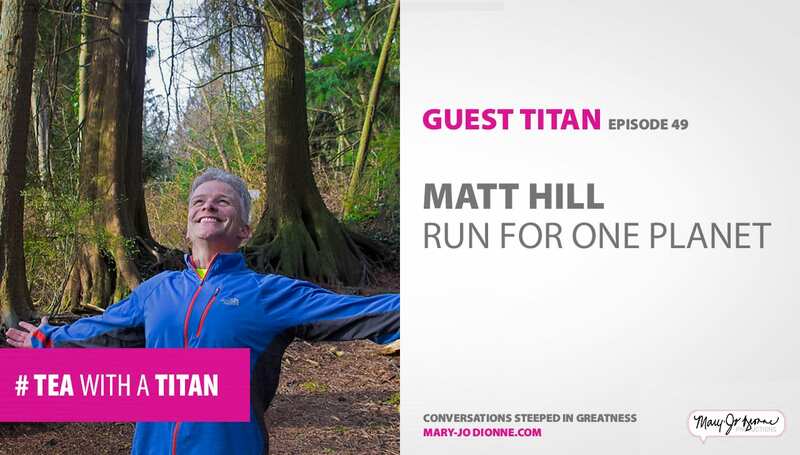 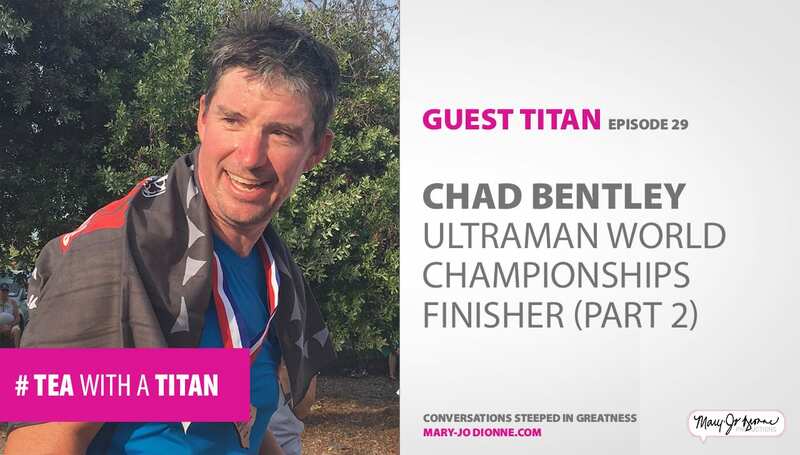 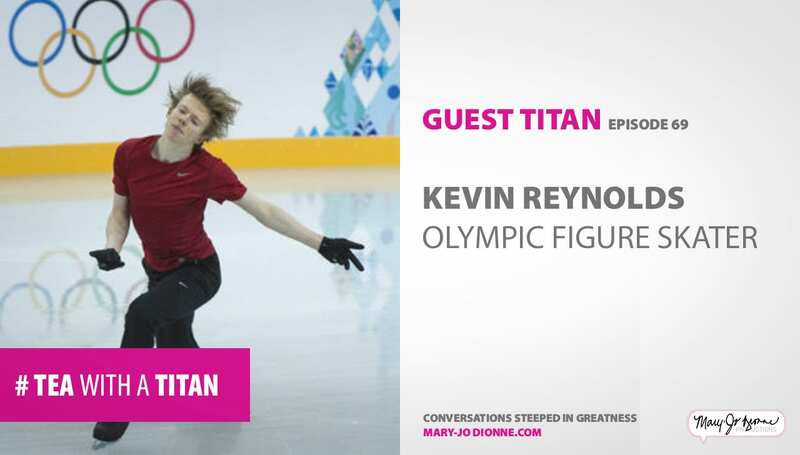 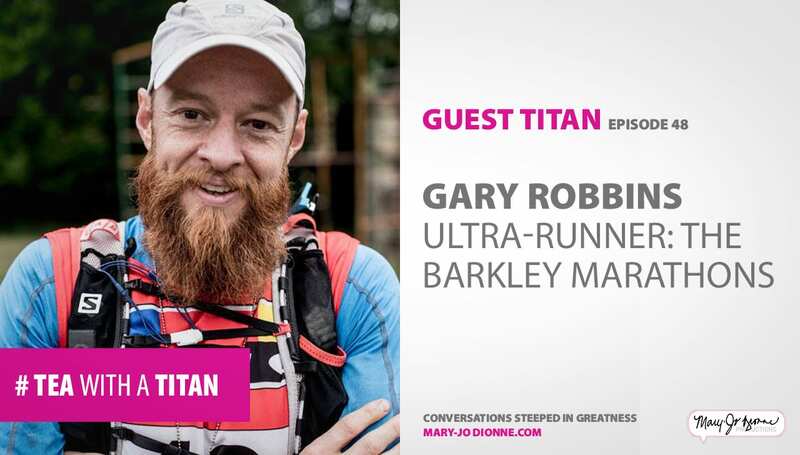 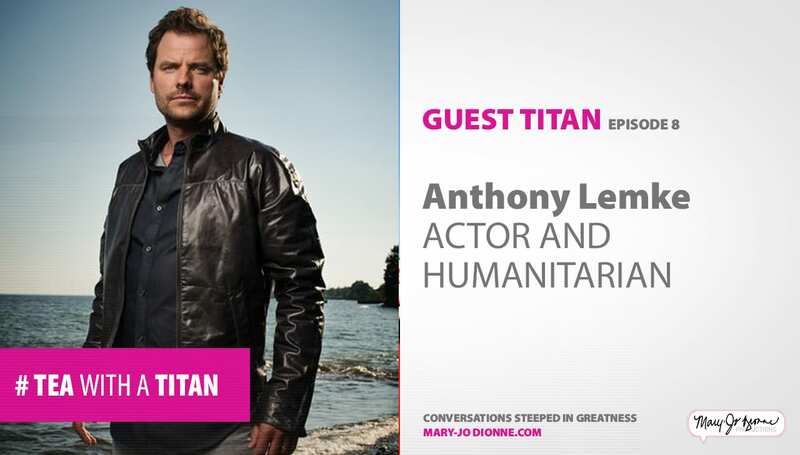 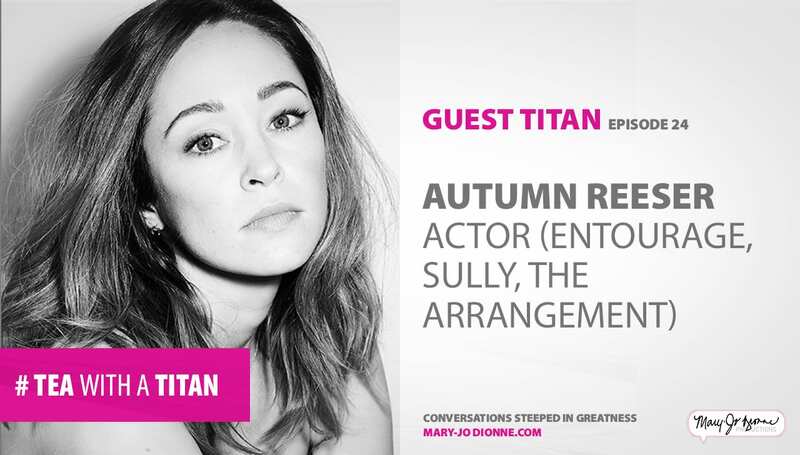 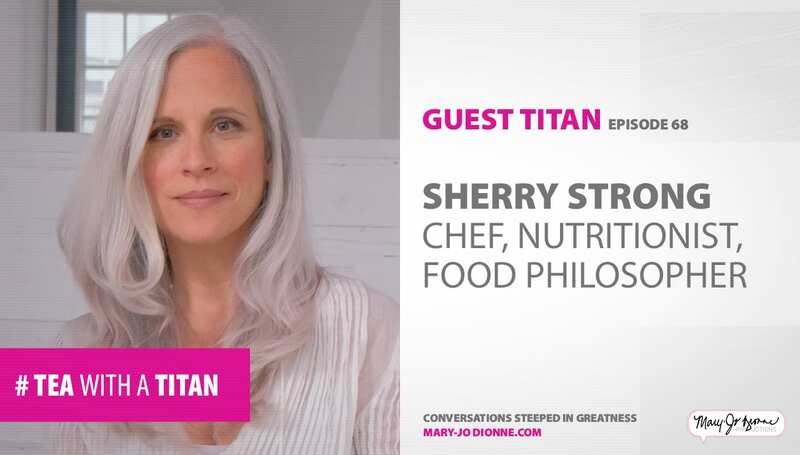 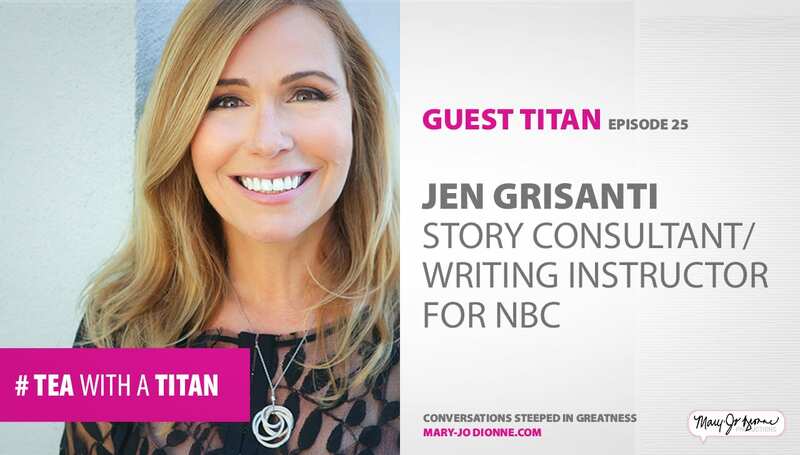 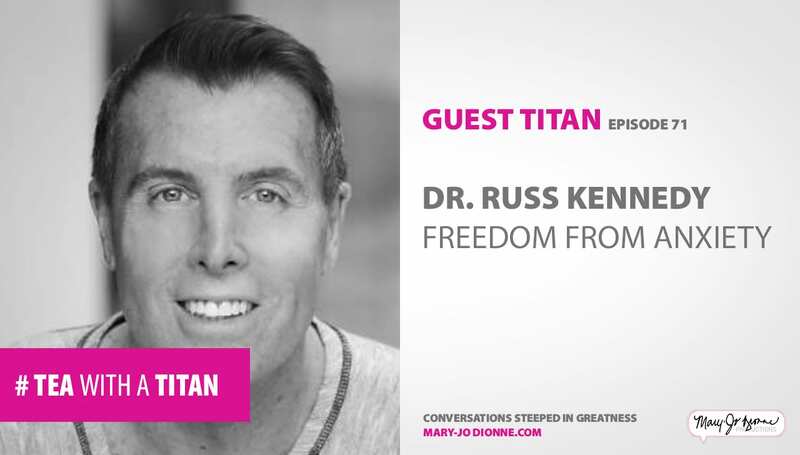 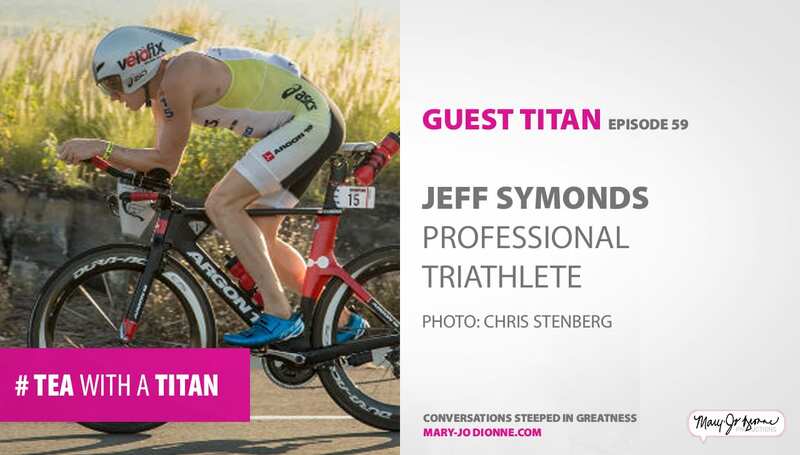 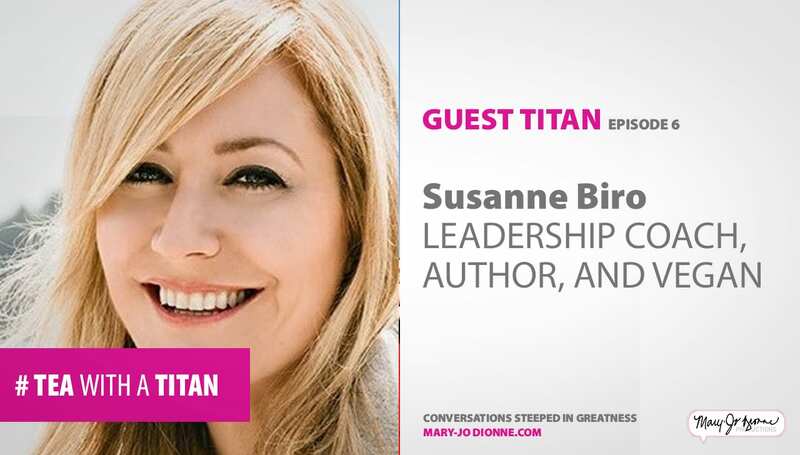 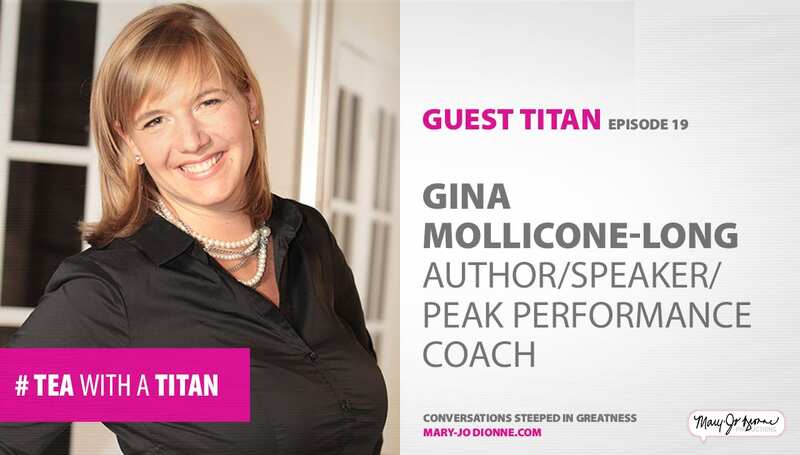 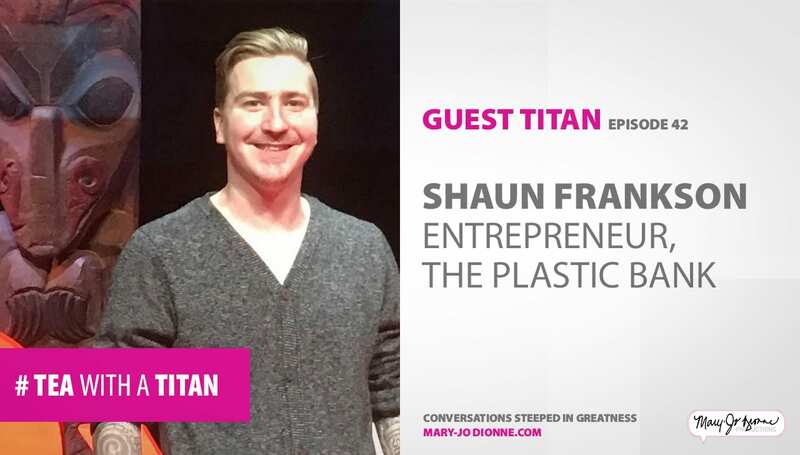 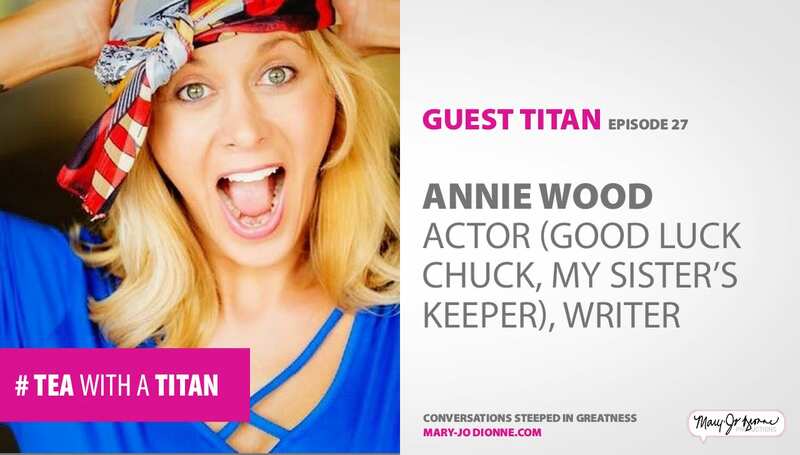 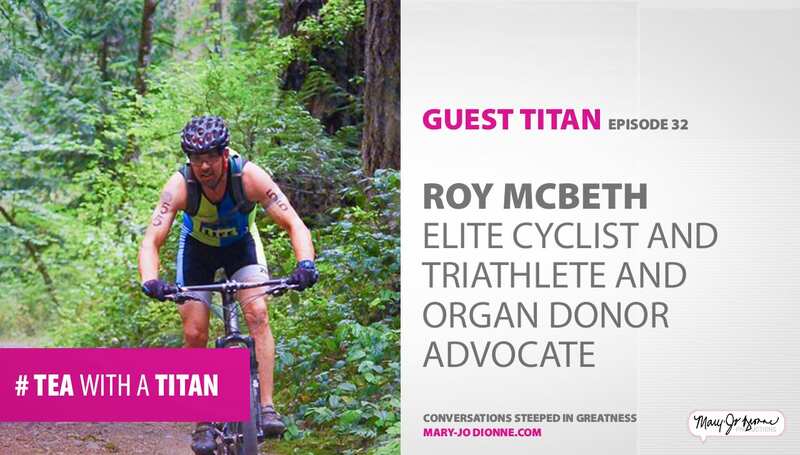 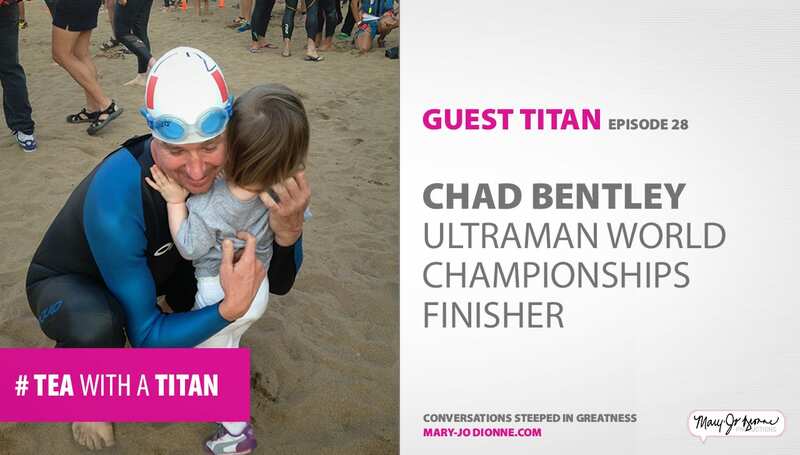 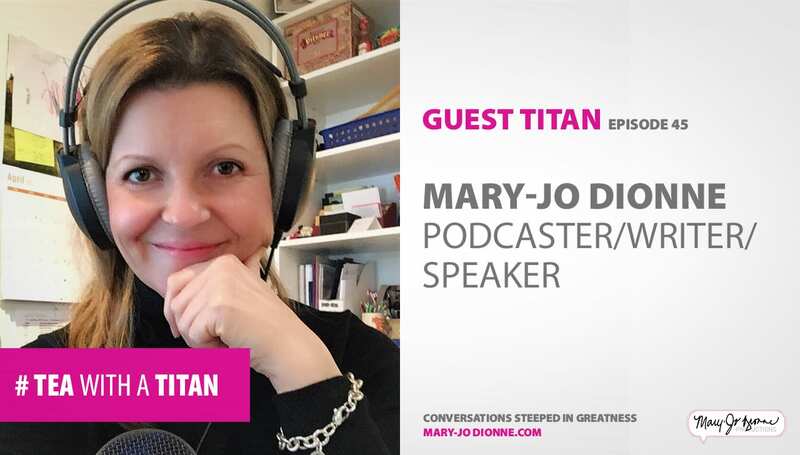 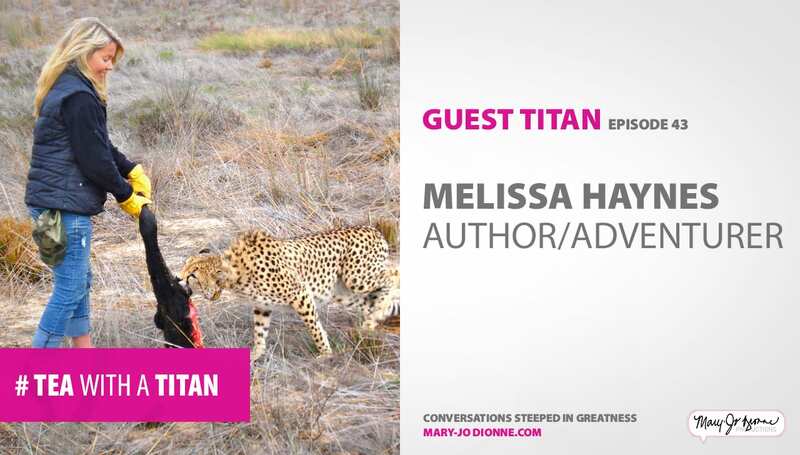 Downloaded in approximately 80 countries since its debut in 2016, Tea with a Titan is a series during which Mary-Jo speaks with those people who have one thing in common: The ability to provide a perspective shift, despite the obstacles. 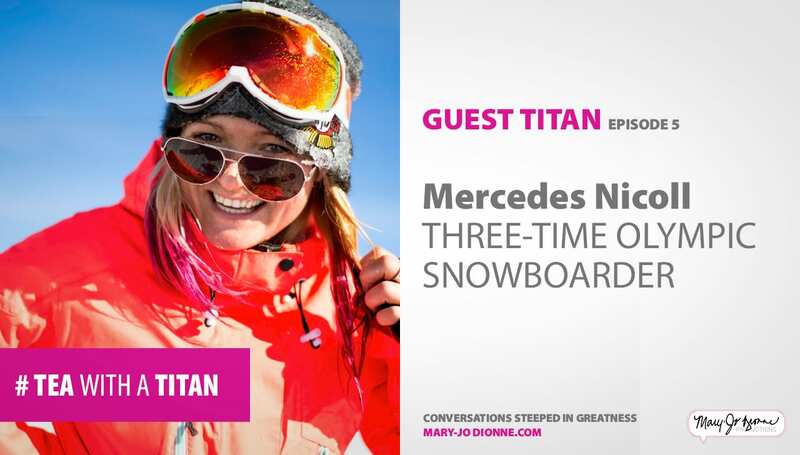 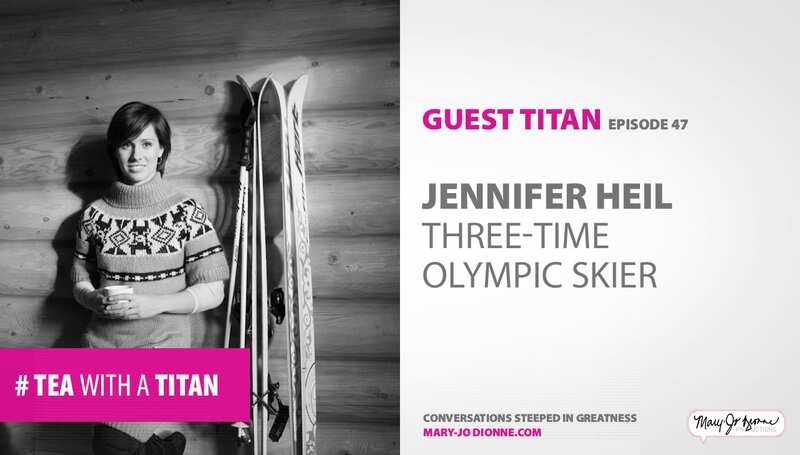 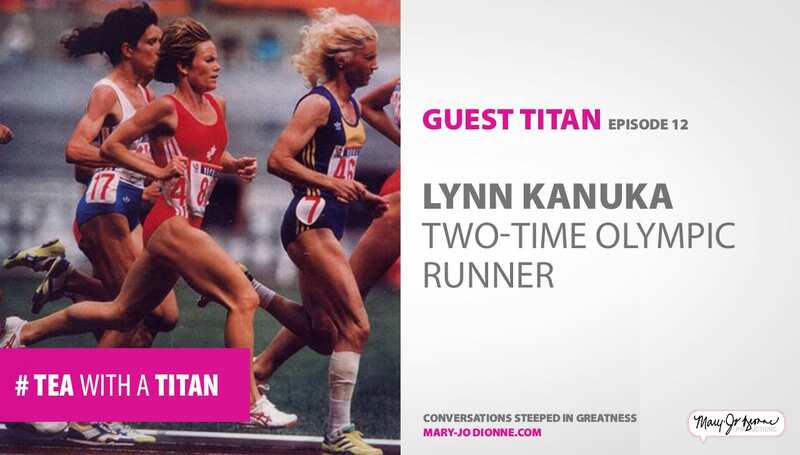 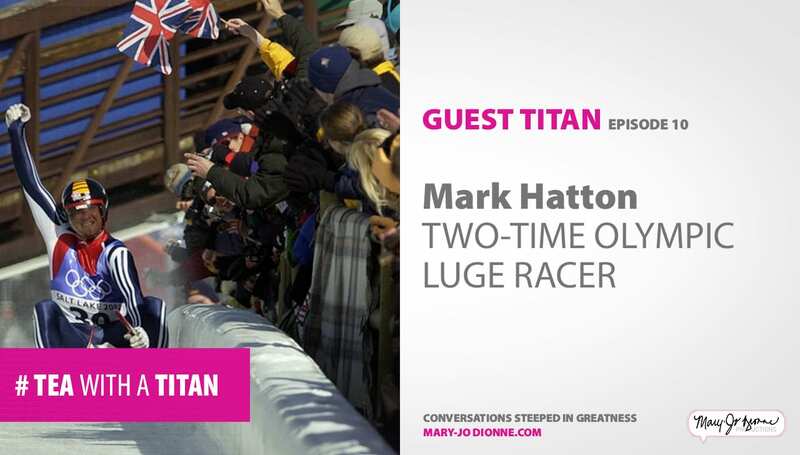 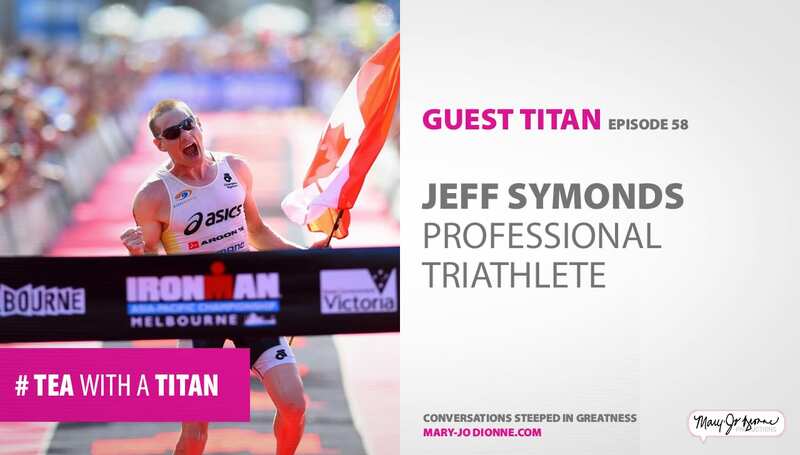 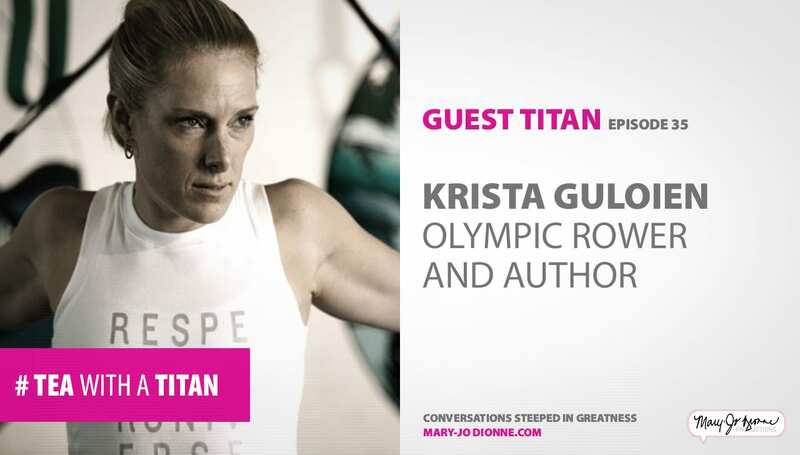 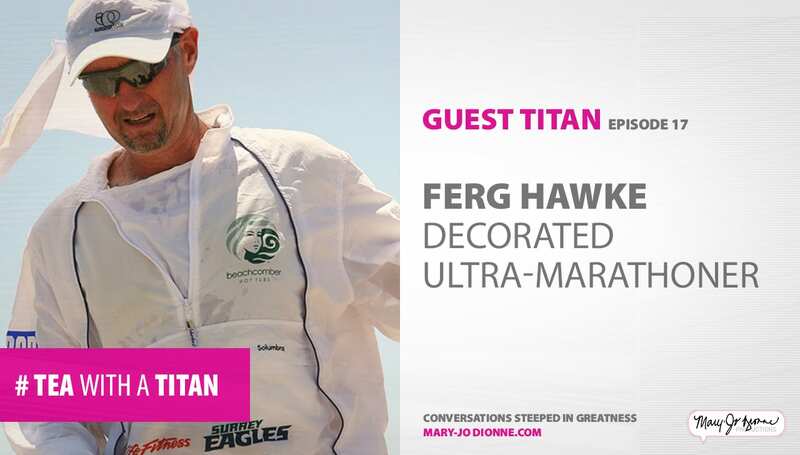 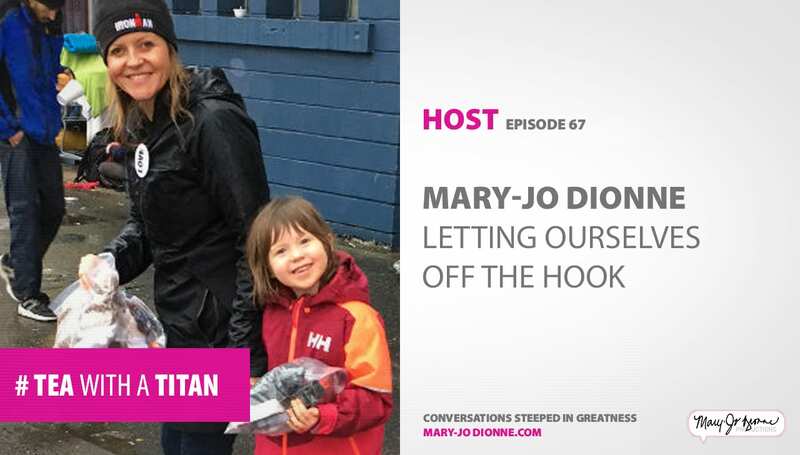 Be it entrepreneur, athlete, artist, entertainer, thought-leader, or difference-maker, if the target is one where mastery meets authenticity — even in the face of hurdles and hiccups — Mary-Jo wants to (and frequently does) have tea with them. 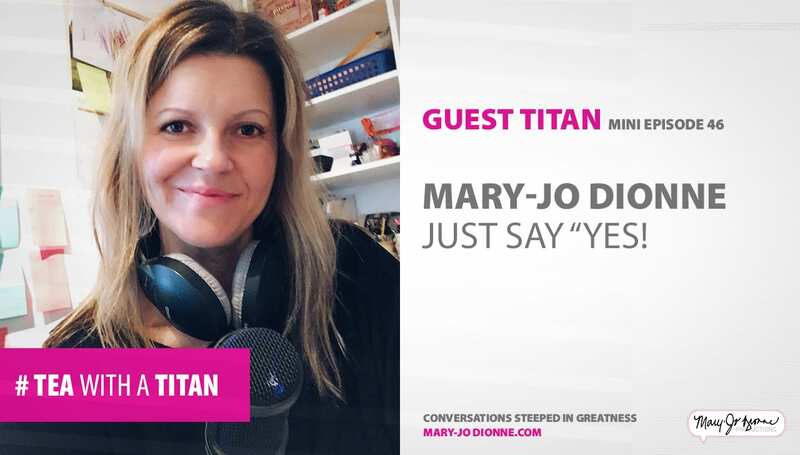 Mary-Jo is the best interviewer'ess I've ever experienced.